In 1920, during the final days of Imperial Russia, the Communist revolution is underway. The last soldiers loyal to the Tsar are held in a prison camp awaiting Moscow's decision regarding their fate. The Lieutenant (Mārtiņš Kalita) recalls his encounter, years before, with a beautiful and enigmatic woman (Victoria Solovyova). During the course of a steam boat journey their paths crossed briefly. The Woman was married, and the Lieutenant engaged, but despite every obstacle, the attraction was overpowering. Their "sunstroke," as they called it, led them into a single night of such sensual intensity that The Lieutenant remembers it to this day, clinging to this memory of an opulent Russia and a better life. 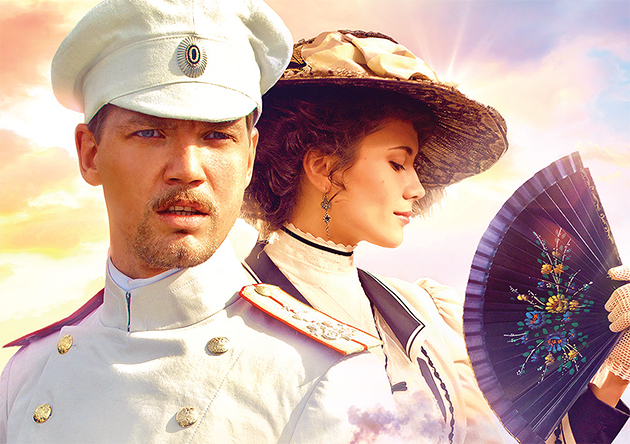 Academy Award®-winning director Nikita Mikhalkov (Close to Eden, Burnt by the Sun, 12) delivers an epic saga, skillfully moving from laughter to tears, told through a cavalcade of colorful and touching characters. In the tradition of Visconti's The Leopard, Sunstroke paints a dreamlike and magnificent portrait of Russia during the glory days of its fall. A gripping and emotional legal drama based on a true story that moved France for three decades. Starring Daniel Auteuil and Sebastian Koch.